British writer, model, host, and designer Alexa Chung launched her very own fashion label in May of last year. The label's name—ALEXACHUNG—is particularly fitting not only because...well, it's the designer's name...but because every piece looks like something that could've been pulled right out of Chung's own closet. Fashion fans have viewed Chung as a style icon for years now—amidst her many career feats, she's always been an "It girl" known for her grungy yet sophisticatedly British style. Because of this, it's safe to say that much of the fashion world knows and understands her aesthetic, and her collection proves that there's a market for those who'd like to dress like her. These people can try to mix girly and eclectic pieces to recreate her style, but nobody can do it better than Chung, who has evolved and refined her style throughout the years in a way that's allowed her to master it to a tee. She has something unique and uncopyable: a trademark aesthetic and an ability to radiate it in anything she wears. Her consistency in this, even amidst personal style evolution, backed by years and years of curation and experimentation, gives Chung her own tool belt and compass for navigating the industry. And now she's using these tools to bring brand new, self-styled pieces directly to consumers! 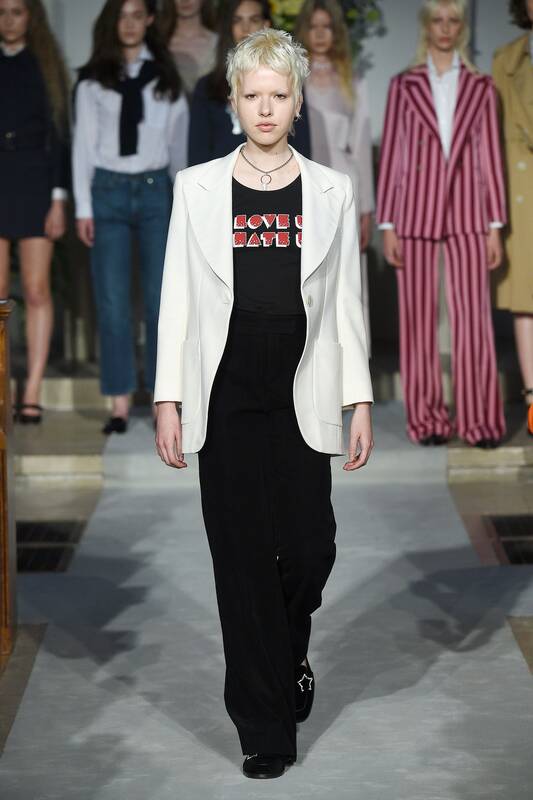 In fact, the ALEXACHUNG brand is possibly the most visible connection of personal aesthetic to professional creation the fashion industry has seen in some time. 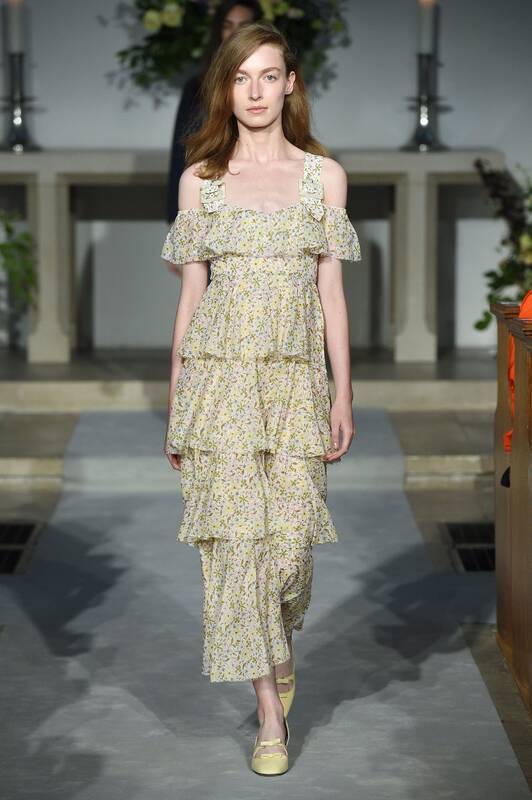 The "girl" the ALEXACHUNG brand seems to design for is very much reflective of Chung herself: eclectic and grungy yet girly and classic, always with a bit of British flare. Her debut collection for the brand (Pre-Fall 2017) exhibited a beautifully exciting mix of these accents in a way Chung has mastered better than anyone: she paired knit collared shirts with leather mini skirts, a floral dress with sparkly platform boots, and graphic t-shirts with the words "Screw You" across the front paired with flats and midi-length denim skirts. Chung is knocking it out of the park. The debut collection was amazing, and the Resort 2018 collection that just dropped is a strong continuation of the established aesthetic. It'll be interesting to see where this conceptualization approach leads the brand in the future, though...what's the longevity of a brand based so closely off a designer's personal style? Although Chung isn't obligated to show during every season of the fashion calendar, could the brand keep up with the demand to constantly pump out new merchandise? Chung has taken on a new role in which she must consciously channel her personal clothing preferences into a collection of new product...how will this affect the expression of her own personal style? While it's interesting to anticipate the future of ALEXACHUNG, something tells me that Chung is going to provide answers that will make us wonder why we even questioned her in the first place. She has no reason not to show us exactly what she can do, which, with her 18 years of witnessing the industry from the inside, might turn out to be much more than we think.